Keeping the trend of the city-based offer, Jazz has once again introduced another incredible offer for the selected cities of KPK residents. Product residents of KPK will get unlimited minutes for Jazz and Warid calls plus free mobile data. 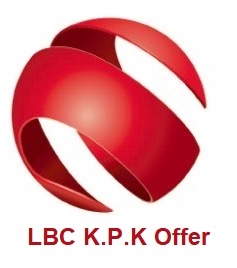 LBC KPK bundle is a daily offer and also at reasonable rates. The offer will be available in Peshawar, Mohmand Agency, Taxila, Attock, Bannu, Haripur, Hangu, Tank, Nowshera, Kotli, DI Khan, Bajaur Agency, Kurram Agency, Khyber Agency, Charsada, Chakwal, Talagang, Mardan, Jhelum, Mansehra and different regions. Below is the complete detail of the offer. On using the LBC KPK you will get unlimited on-net minutes with a special treat of free data Mbs for a day at just Rs 9.99 inclusive of taxes. Call setup charges will apply on initiating the new call. LBC KPK offer gives the following incentives to the residents of designated cities. 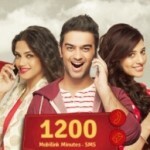 Unlimited minutes of voice incentives for free calls from Jazz to Jazz and Warid numbers. 100 Mbs for 3G customers to access and surf the internet for free. To subscribe the LBC KPK offer you have to dial *291# from your prepaid connection. The subscription will remain effective for a day. *291*2# is to know the status of the offer and *291*3# is to get any info about the bundle. To unsubscribe the LBC KPK offer you have to dial *291*4# from your jazz prepaid connection. You will soon receive a confirmation message on successful deactivation. LBC KPK is a daily offer and will remain effective until midnight of the subscription day. The offer is valid just for prepaid customers of the chosen cities of KPK. Only Jazz to Jazz and Jazz to Warid calls are permitted in this offer. PTCL, off-net and universal calls are not involved. Provided data Mbs is only for 3G internet users of Jazz. Call setup charges of Rs 0.15 including tax will be charged on starting a new call. The LBC KPK offer is available in Peshawar, Mohmand Agency, Taxila, Attock, Bannu, Haripur, Hangu, Tank, Nowshera, Kotli, DI Khan, Bajaur Agency, Kurram Agency, Khyber Agency, Charsada, Chakwal, Talagang, Mardan, Jhelum, Mansehra and different regions. 12.5% withholding duty will apply to recharge, bill, and every other use. In Punjab, Sindh, Baluchistan, and KPK 5% operational fees and service charges along with 19.5% FED duty will apply. In FATA, AJK, Islamabad and Gilgit Baltistan 5.11% operational fees and service charges along of 17% FED duty will apply. 4% higher cost will be charged in Federal region, Gilgit Baltistan, FATA, and AJK. All charges are comprehensive of duties. Offer can be changed or pulled back as per organization terms and conditions whenever. The offer is offered for a just restricted timeframe. Jazz LBC KPK is yet another amazing offer that is only for the proud residents of KPK. The offer will give you all incentives at the lowest possible rates and for a whole day. If you are the citizen of one of the selective cities then subscribe the KPK offer as it is a limited time offer.